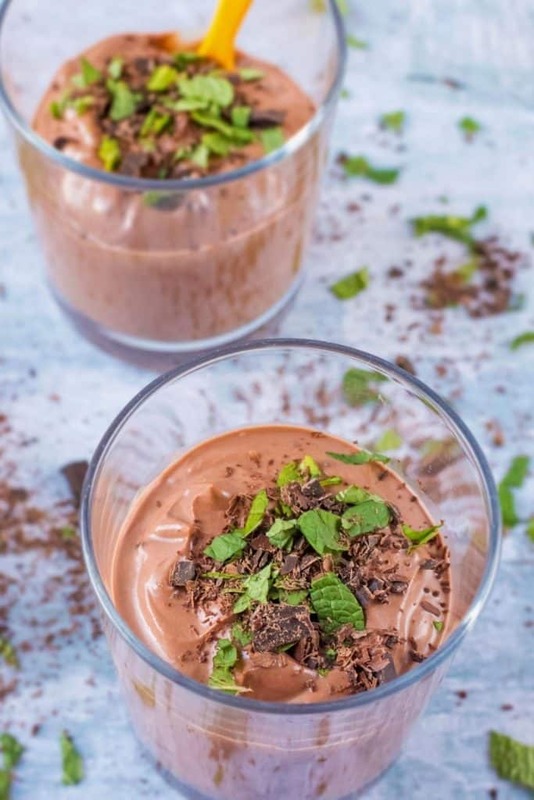 This wonderfully light and creamy Mint Chocolate Dessert is a little bit indulgent, but we have made some healthier swaps like using creme fraiche and Greek yoghurt instead of cream and just a little maply syrup to sweeten it alongside the dark chocolate. 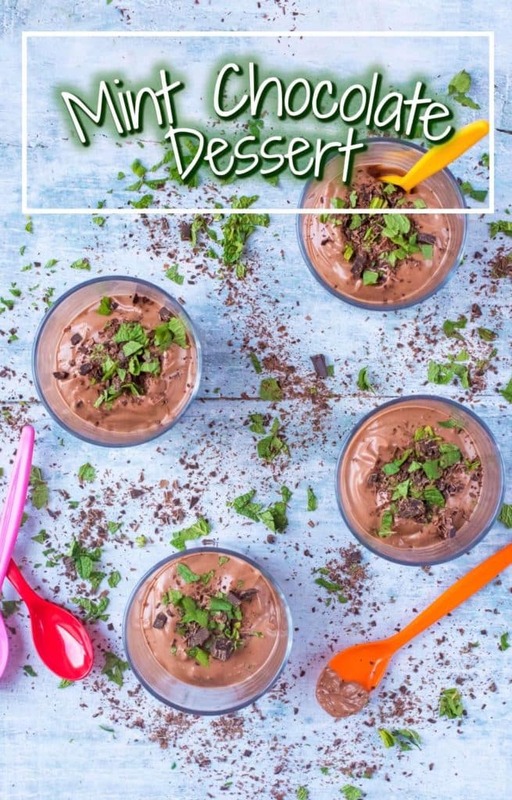 This Chocolate Pudding Recipe will go down a storm at a dinner party and can even be made in advance. 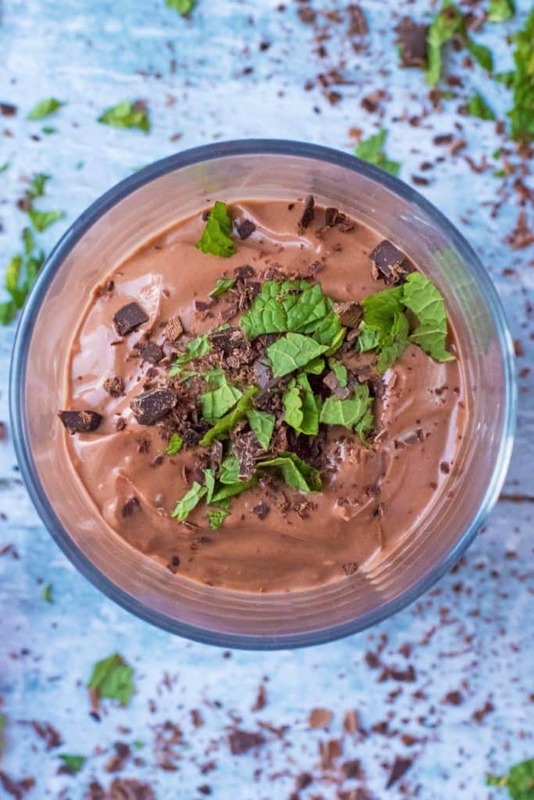 Mint and chocolate are one of the best flavour combinations out there, especially when it comes to dessert. There is just enjoy mint in this for you to taste it, without it being overpowering. 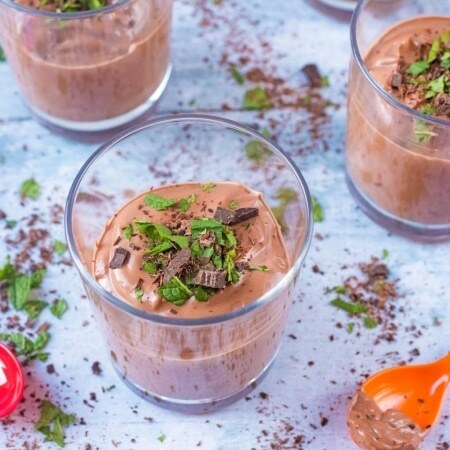 This chocolate pudding recipe is light and fluffy, but with a really indulgent chocolatey goodness. Pudding is a bit of a strange word, as it means something different all over the world. In the UK (especially the North) a pudding is anything sweet that you would eat after your meal. But, in the US it describes a certain type of textured dessert. This does have a creamy mousse like texture, but we didn’t call it a mousse as there is no egg in it and it doesn’t quite have the airy bubbles that mousse does. But it is so smooth and rich and the ultimate date night dessert, so we went with pudding. Now, this isn’t going to be winning the award for the healthiest dessert in the world any time soon, but it’s lighter than the regular chocolate desserts out there. Your standard chocolate dessert recipe usually uses full fat cream which not only makes it heavy, but really high in calories and fat too. 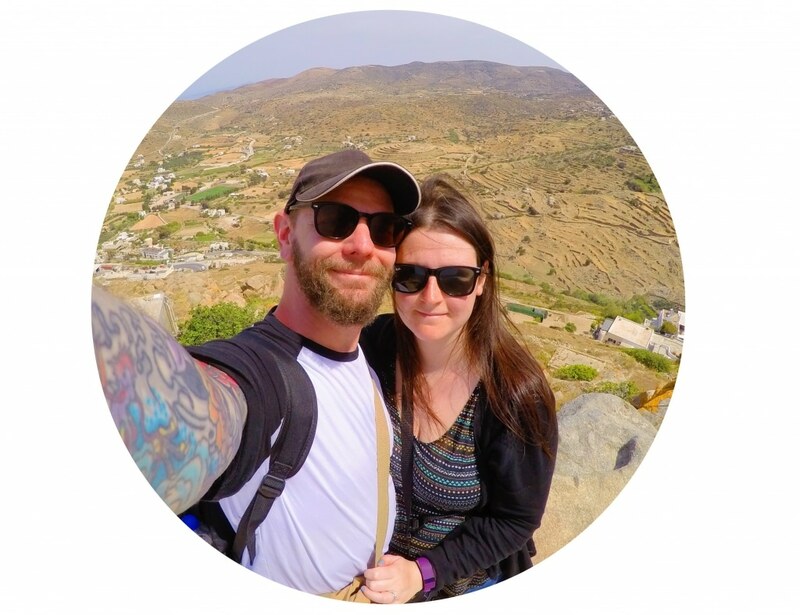 Obviously no big deal for an occasional food, but if you can save yourself so calories and still have a delicious dessert, then why not right? Instead of using heavy cream, we used a mixture of 0% fat crème fraîche and 0% fat Greek yoghurt. The sweetness comes from the dark chocolate and a little maple syrup. It’s not overly sweet, to keep the calories down, but you can always add some extra maple syrup if you like things on the sweeter side. It’s a little bit tart with it being mainly Greek yoghurt, but I like that about it. What Other Flavours Can You Make? If chocolate and mint together isn’t your thing, then why not give chocolate and orange a try! Keep it simple with some vanilla extract or add a little nutty flavour with some almond extract. So many options to make this dessert a little bit different each time. You can keep this in the fridge for 2-3 days. We often make a big batch of these and eat them for a few days in a row. They are a really great dessert to serve at a dinner party. Not only are they easy, but they can be made in advance and then just kept in the fridge until you need them. One: Add some boiling water to a saucepan and then put a glass bowl in the pan, making sure the bottom doesn’t touch the water. Break the chocolate in to the bowl and gently simmer, stirring the chocolate constantly. Two: Remove the chocolate bowl from the heat an add the creme fraiche, yoghurt, maple syrup and mint extract. 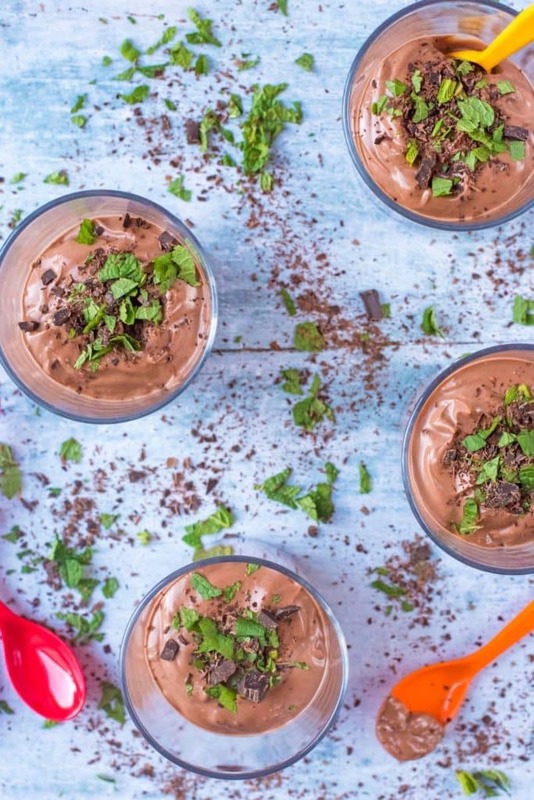 Four: Serve in to glasses and top with dark chocolate chunks and chopped mint. 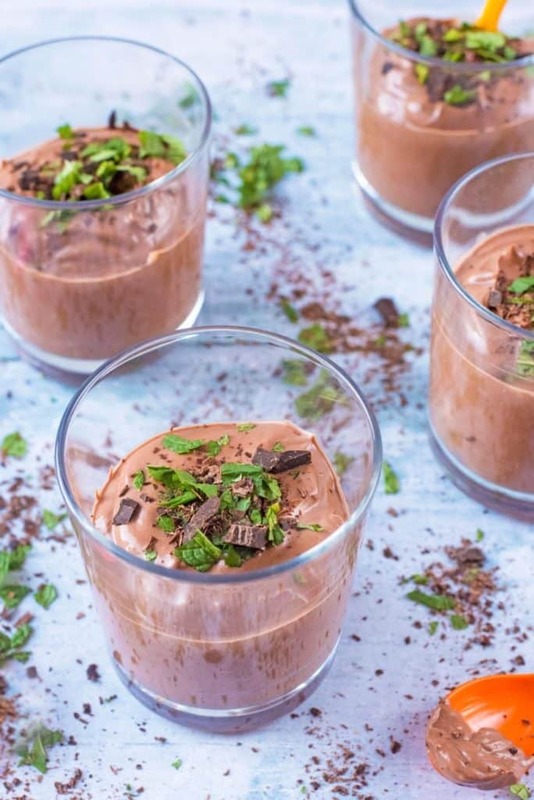 Mint Chocolate is one of the greatest flavour combinations ever invented and we couldn’t think of a better way to celebrate than to make this Mint Chocolate Dessert. Add some boiling water to a saucepan and then put a bowl in the pan, making sure that the bottom of the bowl doesn’t touch the water. Break the chocolate in to the bowl and gently heat the pan, stirring the chocolate constantly. Add the creme fraiche to the melted chocolate and stir. Stir the chocolate mixture in to the Greek Yoghurt in a separate bowl and add the mint extract and maple syrup and mix well. Divide between 4 glasses top with chocolate shavings and fresh mint. I must try this immediately, this looks so yummy beyond words. Thank you for sharing this recipe. Holy cow, this looks so good! Next time I’m on dessert duty for family dinner I’ll have to try it out. Yum! 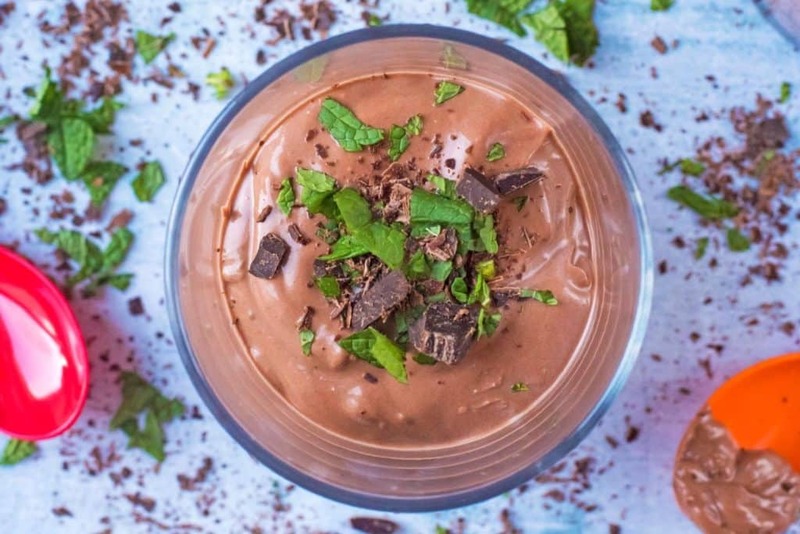 My whole famly loves the mint + chocolate combo so I’ll definitely have to make this! It looks so yummy! Oh I’ve actually been looking for eggless recipes so I’ll add this to my pin board. I have to admire your resourcefulness/willpower not using heavy cream. I’m a sucker for heavy cream based desserts! Such a lovely dessert. My family loves anything mint chocolate.